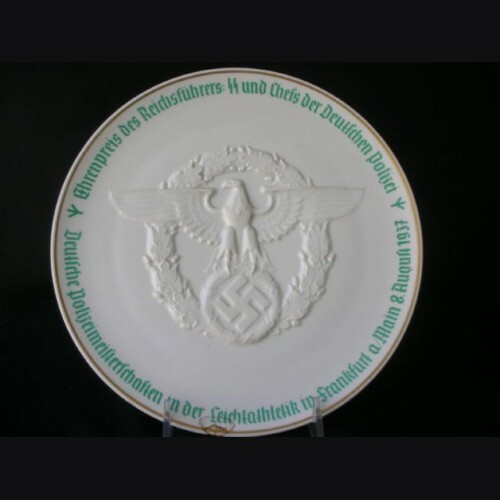 A 1937 1st prize police plate bearing the dedication and gold rim. These are pretty rare and unfortunately this one has an old repair and will need a small restoration by a qualified porcelain person and I would estimate the cost to be 3-400.00 looking at it but luckily the pieces are intact so not too big of a deal. The market for police plates is strong and with a professional repair this would run 3500-4000.00 as a first prize, I am going to offer this as it sits for the time being to someone who may have the resources to have the work done and garner himself a bargain.